Every business needs to be available for their customers, keeping communication channels open and being constantly available to respond to their needs and requests. For that reason, typically you have call centers, email support tickets, social network pages, etc. However, many customers say that they are frustrated being tied to a phone or chat session. On the other hand, most consumers have a positive perception of a company that offers SMS. 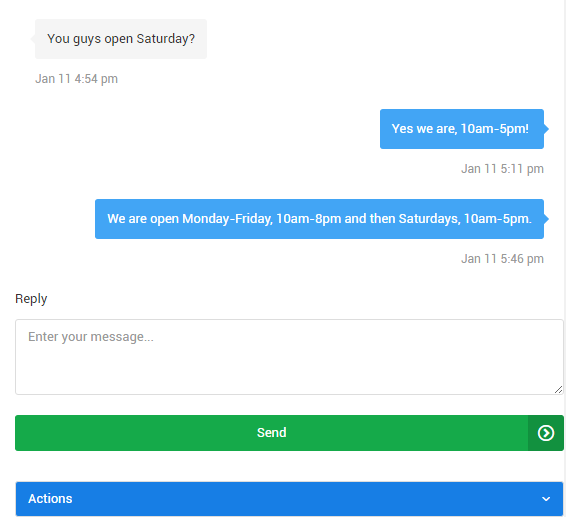 Staying in touch with a business by using simple text messages is good, because it allows you to keep the conversation short and to the point, and reply on your own time. Texting is fast becoming the preferred way that customers want to communicate with your business. Answertext offers you texting capabilities that are affordable, robust and secure. Answertext is a plug-and-play solution. No special apps or tools needed – you can use the existing technology that you are already familiar with. Through the Answertext platform, you obtain a dedicated number capable of sending and receiving text messages. Customers can then reach you at that number, and the messages will be automatically routed to and from your customer support team’s personal phones. Answertext will also automatically send you reminders for unresolved questions and issues. In this way, you can respond faster (by having many people behing one number), improve security, and keep your customers happy. 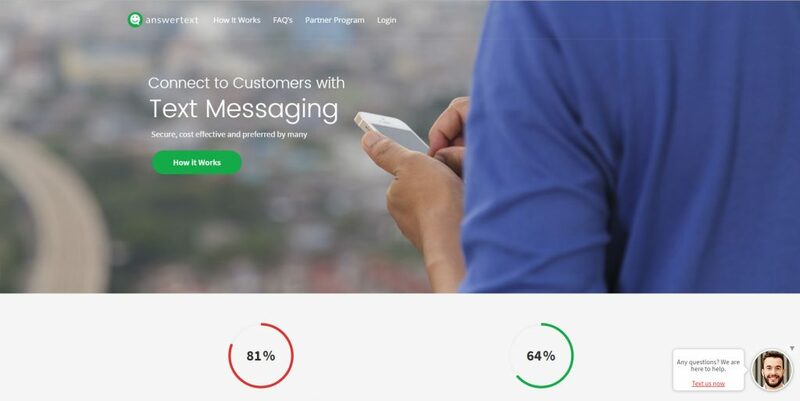 You will get tools to promote your Answertext number on your website and allow your customers to initiate a texting session from the Internet. Also, real-time reports let you see trends in your customers’ and your support team’s activity. I am fully responsible for developing the back-end behind the Answertext platform. This includes tools and modules that manage the user database, automatically provision phone numbers, route incoming and outgoing text messages, send reminders, keep track of statistics and generate reports.